Looking for something to brighten those cold winter days? 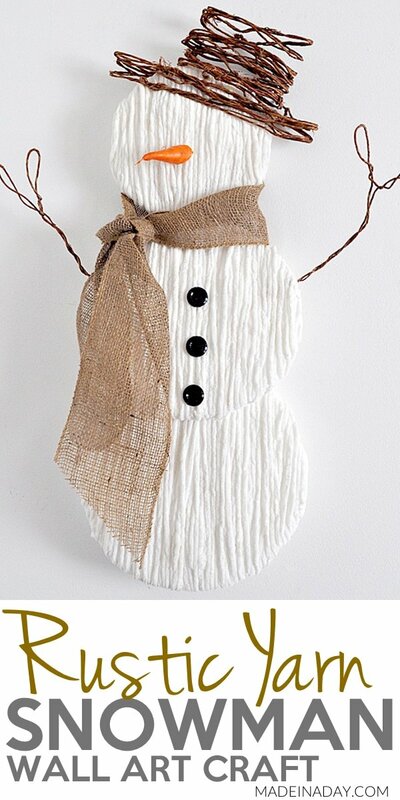 This Cute yarn Snowman Wall Art is just the thing! 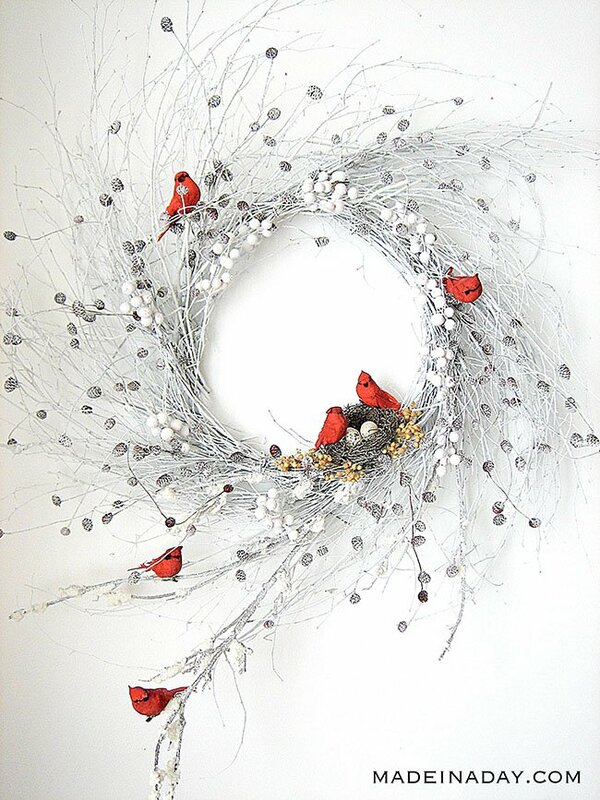 This project is just one of many of my crafts from my All Crafts & DIY Home Decor page. I love snowmen! When I first started blogging I saved a bunch of pins on Pinterest that inspired me for the holidays. The idea for this Yarn Snowman is from a pin for a small ornamental door hanging snowman I found on Pinterest. To me, bigger is better, so I decided to make my version of that snowman door hanger on a much larger scale. He is around 3 feet tall, wrapped in fluffy white chunky yarn and has a sweet carrot nose for added charm. I usually hang him up around the holidays and keep him around through February. With his rustic hat and burlap tie, this makes him a wonderful winter decoration for your front door or around your home. Let me show how I made him! 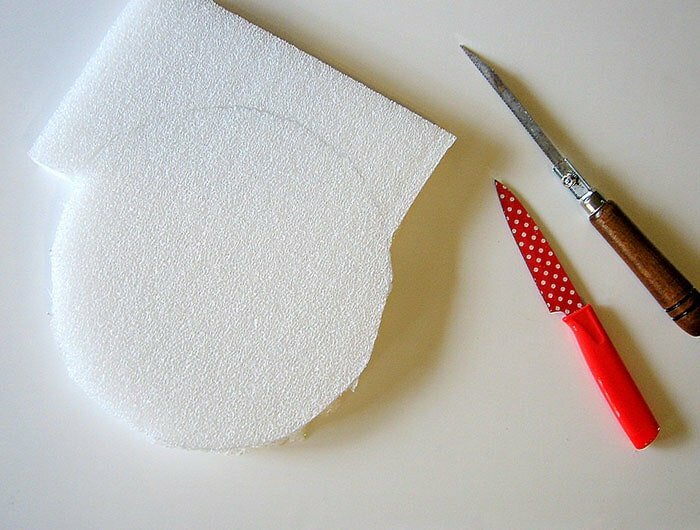 Note: I used one large 1-inch thick foam board because it was less expensive, but you can buy the round foam pieces to skip the cutting steps. Place three graduating in size plates on the foam as guides to draw circles for the snowman’s body. Cut them out with a sharp knife. They do not need to be super perfect. 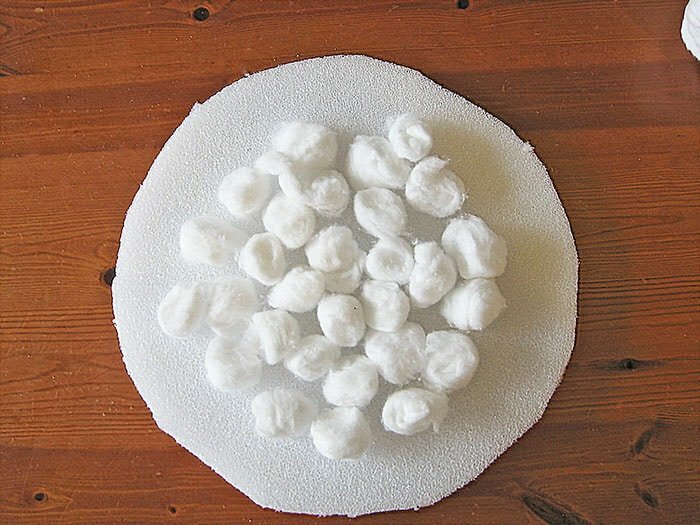 Make a spiral in hot glue in the center of the foam circle and place various cotton balls. The cotton layer makes snowman appear fuller, you could also use batting if you have it, I had cotton balls on hand so I just used them. Again less expensive. Hot glue the end of the yarn to the back of the center of foam and start wrapping the yarn outwards toward the edges. 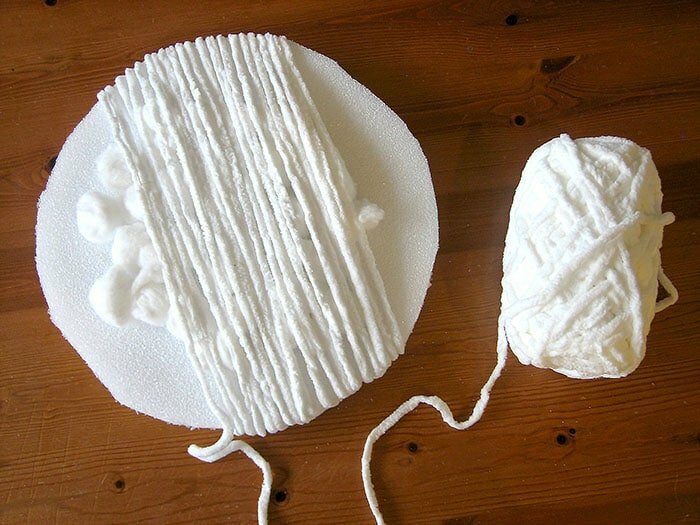 It can be tricky when you get close the sides of the circles, just hot glue the yarn in place as you go. Repeat for the other side of the circle. I wrapped the yarn over each foam circle twice to make sure I covered all the cotton and foam. Next layer the circles over one another and hot glue them together to make the body. Cut two strips of the wired sisal vine. The arms & hands are bent shaped and twisted for strength. Push them into the foam and hot glue into place. Unroll the whole roll of twine and double it and twist it for strength. Then take two hardback books in different sizes, one for the rim of the hat one for the top of the hat. This part can be tricky. 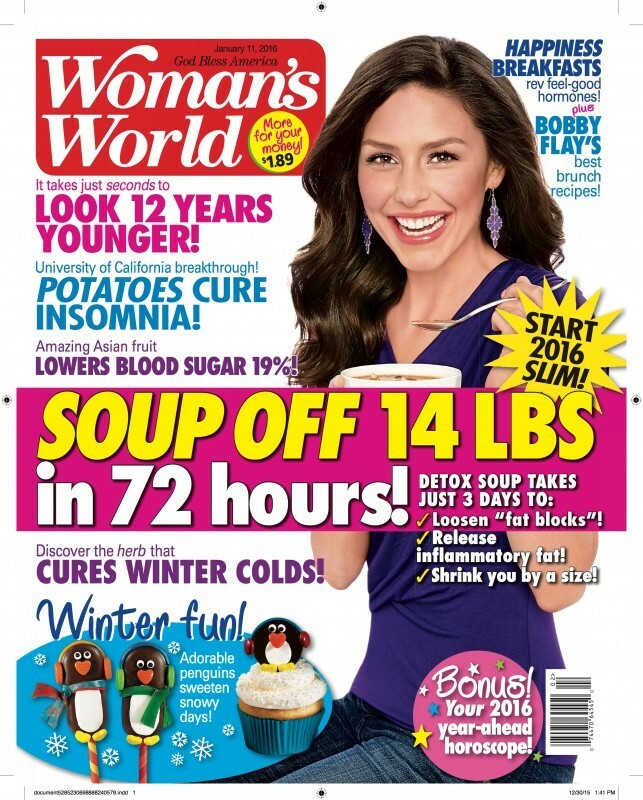 Wrap the twine around three times for the larger book and press flat. Slip it off and do the same for the smaller book, wrap around eight or nine times. Take smaller pieces of twine wire and wired the hat together in the back to make it stable. It tends to flop. Slip it over the head and hot glue the bottom base into place. When you hang the snowman the hat stands tall. If not slip it further over the snowman’s head. Cut a small piece of a faux carrot diagonally and hot glue to the center of the snowman’s face. Place the buttons on the body and hot glue into place. Loop a small piece of twine and hot glue it to the back of the head to make a hanger. Tie the burlap ribbon around the neck and trim the ends diagonally and you are done! Did you like this post? I’d love it if you would tweet it! Click the link below! ~Check out more of my Favorite Projects! What an adorable snowman, soo cute. Clever idea. I love the snowman and I’m making him for a Xmas gift, but you never mentioned on how to join the body together so I’m going to figure that out, I can’t just hot glue it. Thanks for sharing. Yes you hot glue the body together. it says to do that after you wrap the foam in yarn in the instructions. He will make a great gift! GOSH that’s cute! I love stuff you can make quickly, I am not the most patient person! This is very cute. I am definitely going to make it!! Thanks for posting. Here visiting from the Handmade Christmas Link Party at Clean & Scentsible. I love this snowman! I can’t seem to find faux carrots anywhere though. Do you remember where you found yours? Thanks! Hi Kim, Thank you for hosting a terrific Christmas party!!! LOVE the snow man:) Pinned of course! This is just adorable. I just finished making one but the snowman’s head is a little wobbly. Is it suppose to be like this or any suggestions on how to firm it up? Thank you. I loved your snowman. Thanks for sharing. Absolutely adorable! We’d love for you to share this with our readers for Fun Stuff Fridays. VERY fun and looks pretty easy! 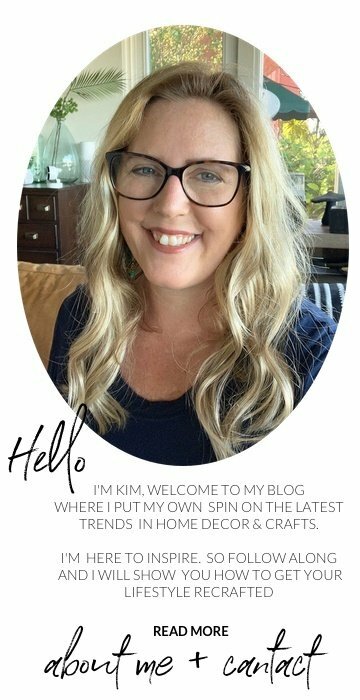 Stopping by from the BSN Blog hop! This is adorable. And it looks so simple. Thanks for the tip! Love everything about this snowman! Awesome job! Your snowman is absolutely ADORABLE! I’d love to have one in my home!! We would love it if you would please link up with us for Fun Stuff Fridays. I absolutely love this!!!! I would love it if you would share with my readers! I am running a 25 Days of Handmade Christmas series. 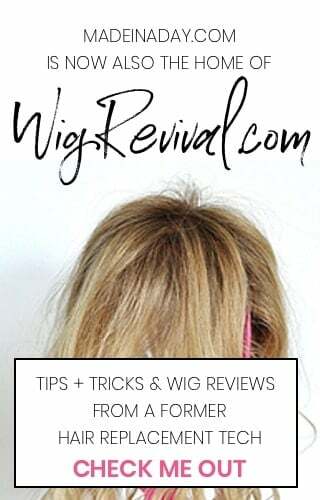 I featured this post on my “Best of” post this week! Come check it out! 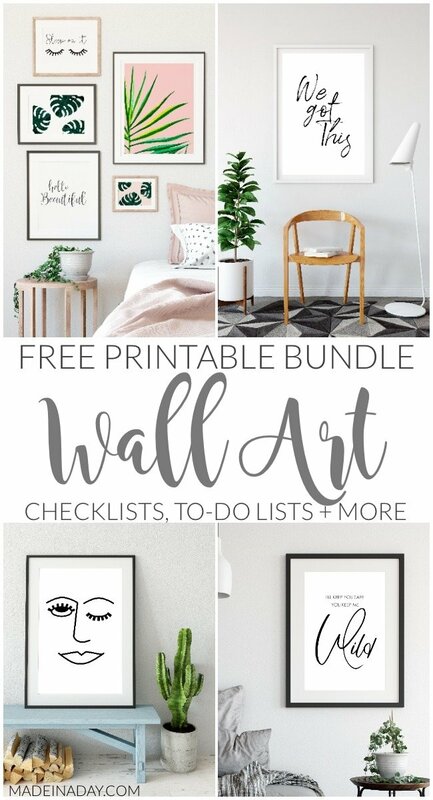 I’m a Pinterest pin hoarder, too! Your snowman is great, and you’ll be able to leave him up after the holidays too. Can’t wait to see more of your hoarded pins. Oh, and thanks for linking up to Refresh Your Nest Friday last week! That is the coolest, Kim! Featuring this tonight! SO CUTE!! I just love it!! Thanks so much for sharing at Strictly Homemade Tuesday! This is going to look perfect for my front porch! Thanks for the great idea!!! I love how this turned out…so sweet!! I love the idea of not using balls, just circles! Such a good thought! that is so stinking cute! i love decorating with snowmen b/c they are good for all winter long, plus, they work for my dual religion household. Super cute! I have the same snowman pinned on my boards too! I love all of your little touches. Thanks so much for linking up to The Creative Spark. I’ll be featuring this on my facebook page. Have a great week! ADORABLE. This is so simple. I love it. You are getting a lot of traffic on this post! I’ve seen it on several spots today! That snowman is adorable! I love snowman and this is totally doable. I am a new FB fan from Nothing But Country. 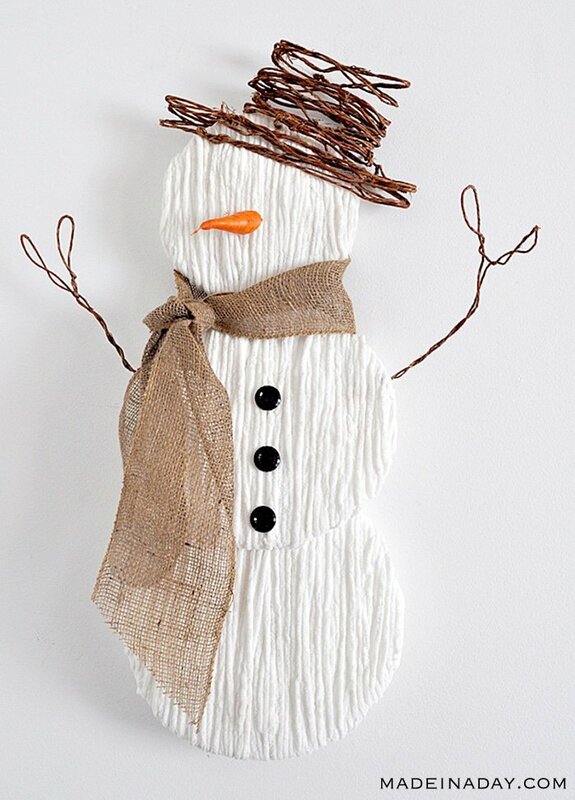 I fell in love with this snowman too on Pinterest & knew I wanted to try him for after the Holidays. Thanks for sharing your tutorial. He is super cute. This is too cute! I love it! Stopping by from the boerman ramblings link up!!! Love it, Kim! Better than the pin! 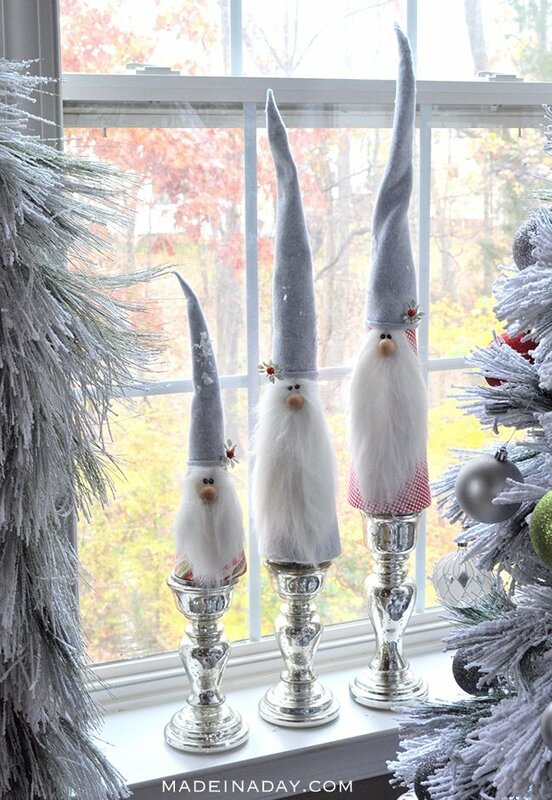 I collect snowmen, so this project is a must try! Thanks for sharing your technique! Love your snowman! Thanks for sharing! What a great idea! This is AMAZING! 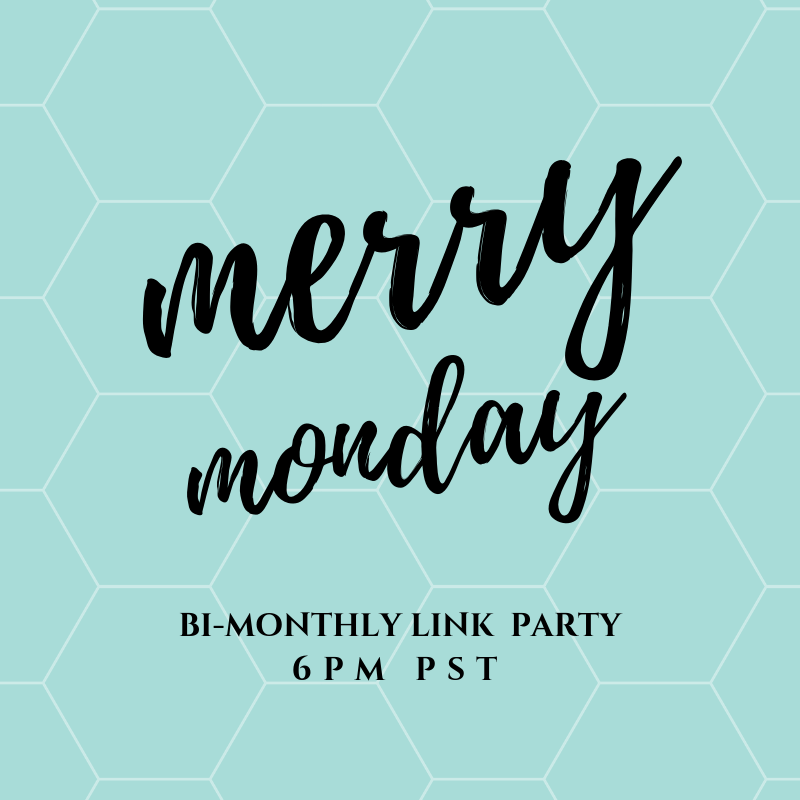 I’d love for you to link up to my Friday linky party! This is so great! This is darling – and you can leave it up all winter long. I like how you used cotton balls to fill out hsi tummy. Smart! Too cute, Kim! 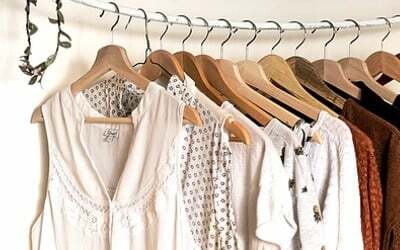 Don’t you wish you had more time to create all the wonderful items pinned to Pinterest? Adorable as usual! Loved it so much I stumbled it! Hope you get lots of hits from it. I love this project. I will have to try this. 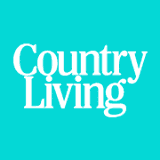 I found your blog from Mod Vintage Life link party and I am a new follower. 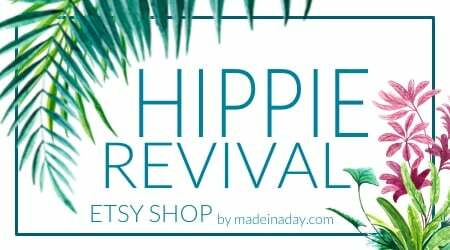 Would love for you to stop by http://www.homesweetbutterfly.com. Happy Thanksgiving. Sooo cute!! It turned out so nice!! I’d love for you to link up this and any other Christmas-related projects to my 26-Day Christmas Craft Marathon Linky Party! !